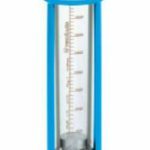 The rota meter is mostly used form of variable area flow meter which consist of vertical tapered tube with a float which is free to move up or down within the tube. When there is no flow through the rota meter, the float rest at the bottom of metering tube. When fluid enters the tube, the float moves up and the flow area increases. 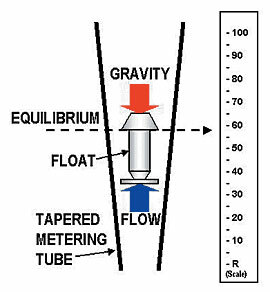 The float moves up until the lifting force produce by flow and gravitational force acting on the float becomes equilibrium. 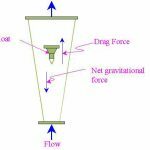 Thus, the differential pressure and lifting force increases with rise in flow rate. A calibrated scale is printed on the tube. With the help of float position and calibrated scale, we can measure the flow rate. 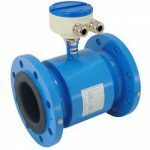 What is electromagnetic flow meter?